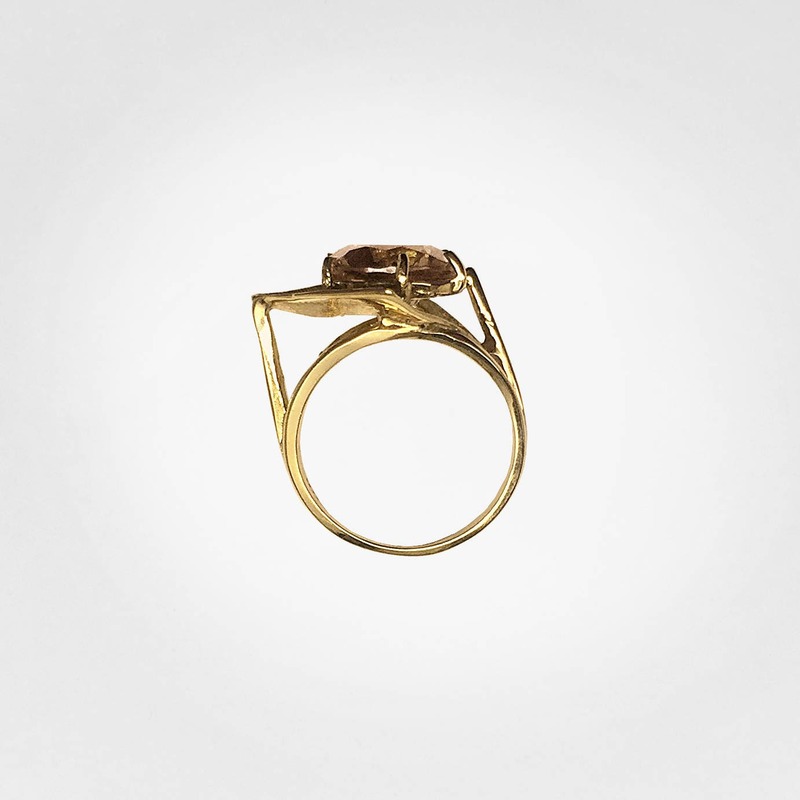 This vintage art moderne ring from the 1950's was made in Buffalo, NY and has been buried in the bottom of our vault since then. We recently discovered a group of never worn vintage pieces. This particular one exhibits an architectural style which we love. The face of the ring is florentined and contains a beautiful 10.25 millimeter round light and lively smoky topaz which is diamond cut. This cutting gives the stone great brilliance. 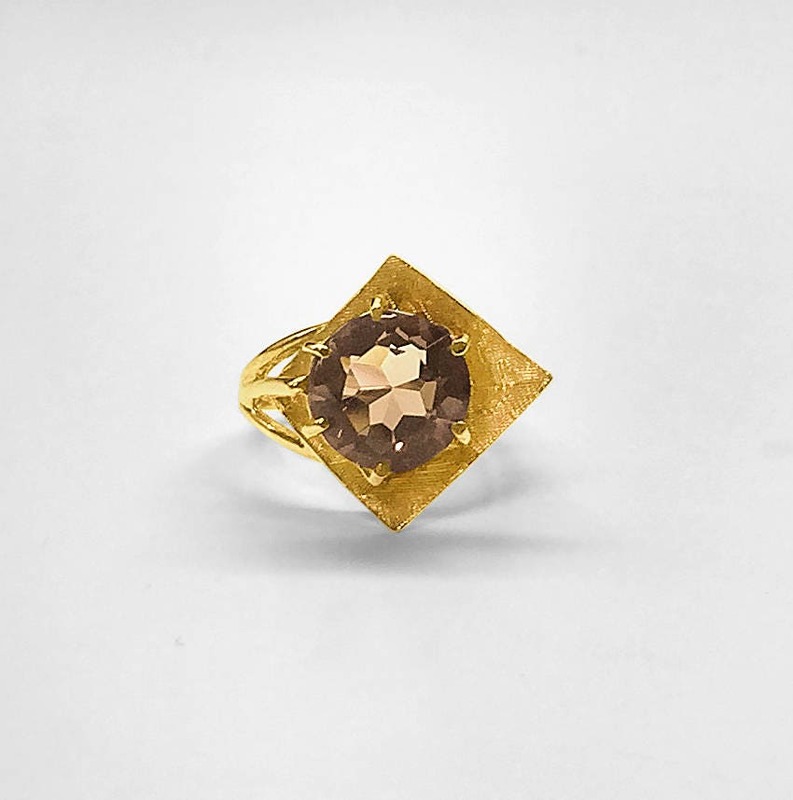 The man-made smoky topaz is set in 6 prongs. 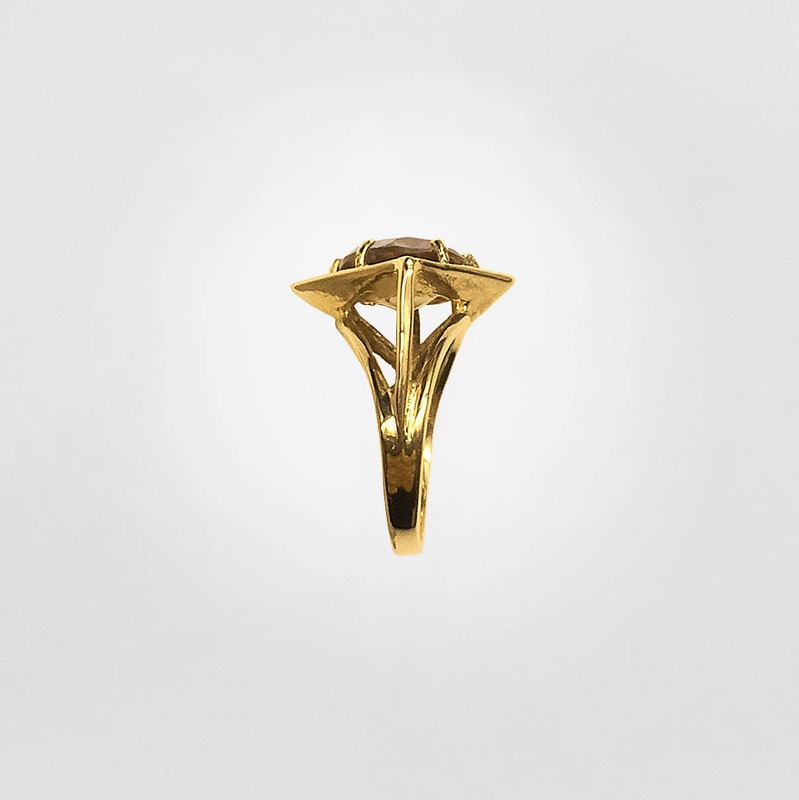 The elegant mounting is made of 10K solid yellow gold. The ring is currently a size 6 but could be sized easily to fit your finger.